Venus White Pro is a take-home whitening kit for custom trays. The carbamide peroxide whitening gel in the kits is available in concentrations of 16%, 22% and 35%, and in various kit configurations, to meet patient needs. The viscous whitening gel is mint flavored and contains potassium nitrate. For best results, Venus White Pro should be used with custom whitening trays for up to 14 days. Depending on the gel concentration and the patient’s preference for time of day, whitening is achieved following the manufacturer’s recommendations for use or recommendation by a dental professional. Venus White Pro kits contain six syringes of whitening gel, paper shade guide, patient tray case, and instructions for use. Refill kits contain three syringes intended for touch-up applications. It is also available in 50 Syringe Packs, and a full line of patient marketing materials are available, including customizable pieces. Venus White Pro is just one offering within the complete family of Venus White teeth whitening and oral care products. Venus White Pro was evaluated by five consultants in 14 patient uses. This take-home whitening kit received an 88% clinical rating. 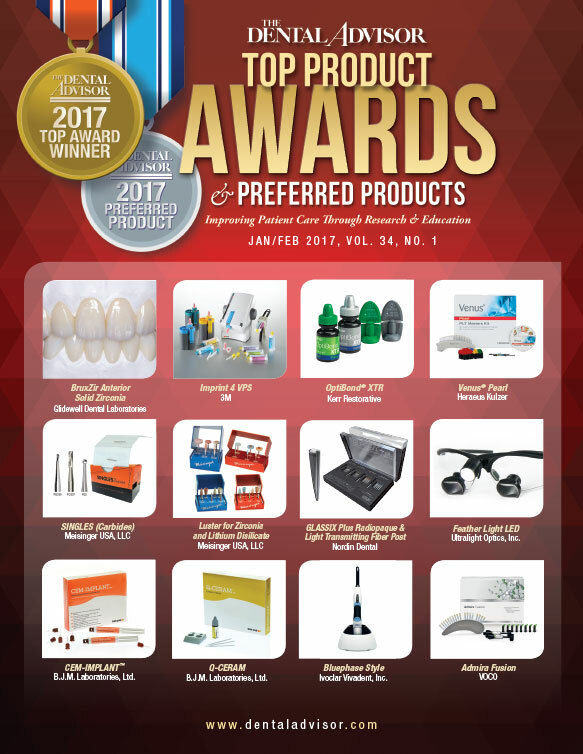 Venus White Pro is provided in an attractive, professional-looking kit for dispensing to patients. Dentists and patients found the highly viscous, mint-flavored gel remained in the tray for effective whitening during the time of use. Half of the patients used the 22% gel and one-quarter each used the 16% and 35% gels. Over 60% of patients preferred to follow the nighttime whitening regimen. The amount of gel in each kit is adequate to produce significant whitening, and patients reported they were pleased with the results. Seventy-three percent of patients reported tooth and gum sensitivity with their whitening, 75% of which was mild to moderate. 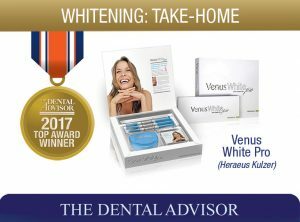 Twenty percent of consultants rated Venus White Pro better than other take-home whitening systems they were using and 40% rated it equivalent. Sixty percent would switch to Venus White Pro and recommend it to a colleague. Ninety percent of patients would recommend Venus White Pro to friends and family. Refrigerate the product when not in use. Instruct patients not to overfill trays, and instead use only a small pearl sized dab of gel for each tooth. Heraeus offers Venus Comfort Gel, containing potassium nitrate and fluoride, for patients that may be prone to sensitivity.